Lazydog Kayak and Paddleboarding Located at the Hurricane Hole Marina in Key West, Florida. Operating one of the largest rental fleets of kayaks and stand up paddleboards on the island. We offer 2 and 4 hour backcountry kayak tours that include snorkeling. We also offer kayak rentals, paddleboard tours, paddleboard rentals, lessons, and give you a map and suggested areas to explore. 2 Hour Guided Kayak Tour - $40 : Daily tours at a relaxing pace that explore the shallow, calm, blue-green waters of the backcountry of Key West. From the comfort of your kayak get a chance to view the mangrove environment up close, along with its marine life including tropical fish, crabs, sea stars, jellyfish, sea cucumbers, sponges and various aquatic birds. 4 hour guided Kayak / Snorkel Tour - $60 : This tour explores some of the more remote regions of the backcountry. Join your guide through the mangroves and learn about the ecological history of the Keys. This includes an opportunity for backcountry snorkeling. Here you will swim over sponge beds and coral heads, and among fish, rays and sharks. Tour meets Monday, Wednesday and Friday at Hurricane Hole Marina (MM4) at 9:15. We then transport you to our launch site at MM17. 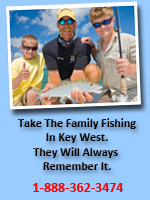 Rentals : 1/2 Day $25 / Full Day $40 : Enjoy the waters of Key West on your own. We will supply you with a map of the local water and places to explore. Open daily. Paddleboard Rentals $30 / Paddleboard Tours $40Paddleboarding is fun and suitable for people of all ages and abilities. Rentals ok for beginners too! We’ll give you a lesson before you leave the dock and send you on your way to explore wherever you’d like to go! 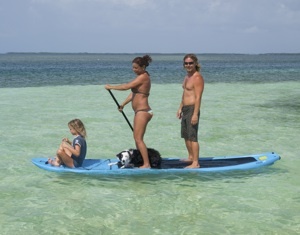 Paddleboard Tours with your experienced guide you will paddle at a relaxing pace and explore the waters of the back country of Key West. We have trips departing daily to fit into anyone’s schedule.